Sprinkler System Installation Victoria | Home | Hydrotek Irrigation Systems Ltd.
Request a quote for all our installation and maintenance services. We keep your home or business’s landscape watered and healthy. Make sure your irrigation system is prepared for winter and ready to go in spring. 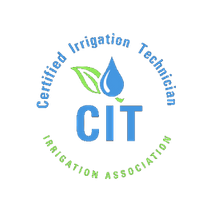 Browse finished irrigation systems for residential, commercial, and municipal clients. Victoria’s Lawn & Garden Irrigation Professionals Since 1977 – Serious Irrigation! Want to maintain a flourishing garden, a beautiful lawn, and save up to 40% on your water bill? Are you tired of dragging hoses around your yard trying to water your valuable plants and lawns? Hydrotek Irrigation Systems Ltd. offers irrigation and sprinkler system installation to Victoria, Sidney, Sooke, and the surrounding areas. Our team of professionals has been keeping Victoria's lawns, gardens, golf courses, city parks, sports fields, and boulevards irrigated for over 40 years, using top of the line proven brand name parts like Rainbird®, Hunter®, Irritrol®, Toro®, and Hydro-Rain®. We are fully insured, compliant with WorkSafe BC, and members of BBB. See our completed projects to get a sense of the excellent work you can expect from Hydrotek Irrigation Systems. Ready to book your service? Contact us by phone or email to get your irrigation installed or ready for the upcoming season! We offer free, no-obligation quotes on all our irrigation installation and maintenance services. Contact us today to receive your free estimate. 5221 Old West Saanich Rd.